UNIVERSAL DEVICE PLATE - The thin, low-profile mounting plates can be attached directly to the back of your phone or case, or underneath cases less than 3mm thick. They feature a strong, removable 3M adhesive to make this one of the most reliable car accessories. 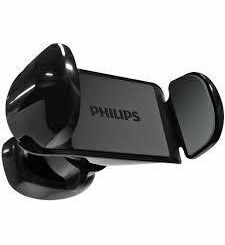 POWERFUL MAGNETS - Our Android and iPhone car holder has six (6) powerful neodymium magnets hold your phone securely and are safe for phones. 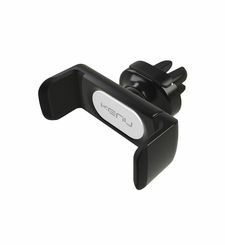 PUSH-BUTTON VENT CLIP - The new spring-loaded vent car mount is super secure, safe for all car air vents, and attaches with push-button convenience. 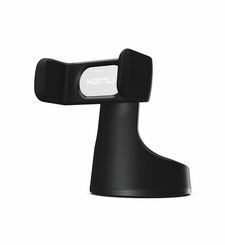 360° PIVOT - A remarkably smooth ball-and-socket on our magnetic car mount joint allows the phone to be positioned at any angle, keeping the screen safely in view. SAFELY IN VIEW - Keep your smartphone in sight at eye level and ready for GPS directions, streaming music, and hands-free calls with this car phone mount. UNIVERSAL DEVICE PLATE - The thin, low-profile mounting plates can be attached directly to the back of your phone or case, or underneath cases less than 3mm thick. They feature a strong, removable 3M adhesive to make this one of the most reliable car accessories. POWERFUL MAGNETS - Our Android and iPhone car holder has six (6) powerful neodymium magnets hold your phone securely and are safe for phones. 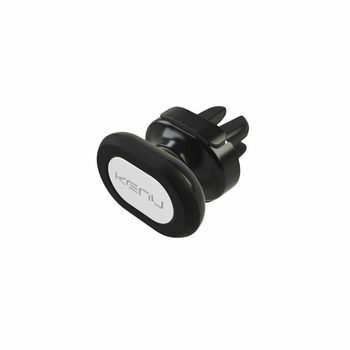 PUSH-BUTTON VENT CLIP - The new spring-loaded vent car mount is super secure, safe for all car air vents, and attaches with push-button convenience. 360° PIVOT - A remarkably smooth ball-and-socket on our magnetic car mount joint allows the phone to be positioned at any angle, keeping the screen safely in view.